If you’re interested in implementing a recycling program in your community, you should visit your local recycling center in Atlanta for recycling facts and tips. A comprehensive recycling program allows you to reduce waste, recycle valuable materials, and reuse certain items for the good of your community. 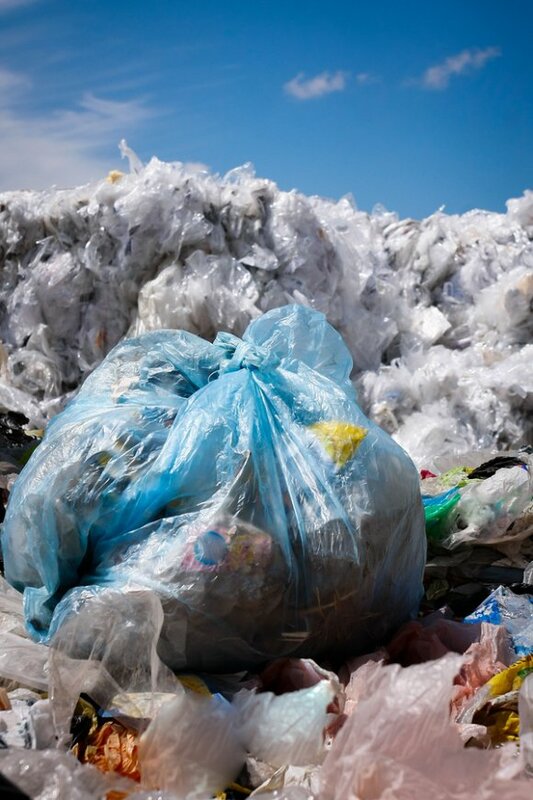 Here are some great tips for implementing a successful recycling program in your community. It is important to make recycling services as convenient and accessible as possible for all members of the community. This means that even if community members live far away from the local recycling center or don’t have transportation, they should still be able to take advantage of the recycling program. You must set up central recycling collection areas, or coordinate recycling pick up with your recycling center. You must also distribute recycling bins or dumpsters to community members. Next, you should become familiar with the recycling services that your local recycling center offers. Find out what materials the recycling center is capable of recycling. You should also know whether recyclables must be sorted, or if they can be mixed when placed in dumpsters or recycling bins. Most recycling centers provide metal, cardboard, wood, glass, electronics, paper, and plastic recycling. You should find out if your recycling center provides dumpster rentals, recycling bins, and recycling and trash pickup. If they do, you’ll need to coordinate recycling services and pickup dates with the community. Once you have the details worked out with your recycling center, you will need to begin promoting your recycling program throughout the community. Each community member will need to be aware of key recycling facts, such as where dumpsters or recycling bins are located; what the pickup dates, times, and locations are; and exactly what materials are recyclable. Each community member should know how to best reduce, reuse, and recycle waste. They should also have access to an information forum or question and answer sessions. Roll off dumpsters have a variety of versatile uses in the waste management and construction industries. Whether you are a contractor that is seeking a dumpster for a large scale commercial project, or you are a homeowner who need additional disposal space for a project at home, a dumpster rental is sure to meet your waste management needs. In order to obtain a dumpster rental near Atlanta , you will need to get in touch with a company that offers waste management services and dumpster rentals in your local area. 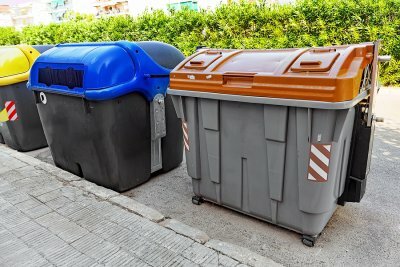 To help you ensure that you get the best benefit from your temporary dumpster, here is an overview of some qualities to look for in a dumpster rental company. One of the first factors that you will want to consider when you are choosing a dumpster rental company is the types of disposal methods that are used by your waste management professionals. A high-quality dumpster rental company will use proper disposal methods during all of their waste management procedures. You also may want to ask about the company’s recycling program. Along with considering a company’s disposal methods, it is also a great idea to consider their pricing format. Ideally, your dumpster rental company will have a simple pricing format that is based on up front considerations. You may also want to ask whether your dumpster rental includes any fees for loading, truck mileage, or weight of materials. When you are renting a dumpster, your dumpster will typically be larger than a conventional passenger car or truck can accommodate safely. For this reason, you should make sure to ask your dumpster rental company about their pick up and delivery procedures. To ensure that your dumpster rental goes smoothly, you will want to work with a company that offers full delivery and pick up services. After you have evaluated all of these factors, you will be ready to schedule your dumpster rental. Metals are used in manufacturing and production across a wide range of industries. 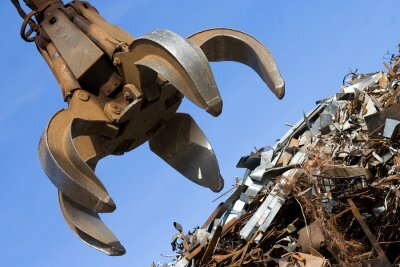 When you are planning a waste management project for your home or business, you should be sure to implement metal recycling into your program. From scrap metal recycling to construction recycling and more, there are many ways that metals are recycled and reused. A company that specializes in waste management and recycling serving Atlanta will be able to provide you with more information about the fantastic benefits of metal recycling. To help you get started on your recycling program, here is a look at the process of metal recycling. Collection is the first step of the metal recycling process . During the collection process, metals are obtained and placed into specialized containers. To make sure that your metals are in good shape once they reach the recycling center, it is a good idea to use recycling bins that have been designed specifically for use with different kinds of metals. Once you have collected your metals, you will be ready to visit your local recycling center. The sorting process involves the separation of metals into recyclable and non-recyclable categories. Typically, sorting will happen directly at the recycling facility. Your recycling specialist will determine what metals can be recycled, and which are not eligible for the recycling process. The metal materials may also be divided into ferrous and non-ferrous categories. With all of the metal recyclables sorted and categorized, it will be time to move to the final step of the metal recycling process. After sorting, metal recyclables are sent to a machine that is known as a shredder. The shredder will break down the sheets and pieces of metal and turn even the largest pieces of metal into manageable components. Next, the metal pieces are purified and melted under very intense heat. Once the metal has been completely melted, it will be ready for use in the manufacturing and production industries. Whether you are the owner of a commercial business or a homeowner who is embarking on a junk removal process, you should be sure to hire Southern Waste for all of your bulk waste disposal needs. We are thrilled to provide highly rated junk removal and recycling serving Atlanta . With our dumpster rentals, you can rest assured that there is no waste disposal project that is too large for our team to handle. Our dumpsters are designed to accommodate large and bulky items, such as large appliances, industrial equipment, and furniture. In addition, we provide specialized disposal services for computers, electronics, and other sensitive items. To help you improve the environmental impact of your project, we can also help you design a bulk recycling program. Our recycling services will allow you to reuse your bulk waste, rather than throwing it in the landfill. Do not hesitate to contact our Atlanta location to learn more about our bulk waste disposal services. Each year, we celebrate America Recycles Day by honoring our continued commitment to recycling in all of its forms. Whether you are celebrating America Recycles Day, or are planning your day-to-day waste management strategy , it is important to include recycling in your everyday routine. 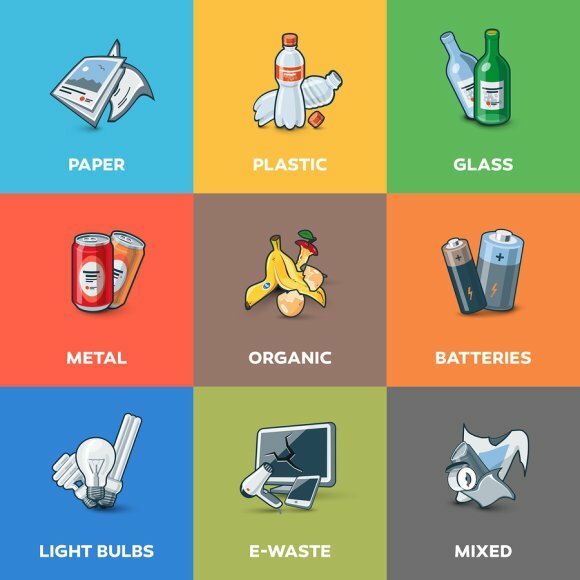 In order to get the most out of your recycling procedure, it is a great idea to learn more about what types of materials can be recycled. From scrap metal recycling to paper recycling and more, your recycling center near Atlanta can help you recycle a variety of materials. If you are interested in learning more amazing recycling facts, be sure to watch this video from the U.S. Environmental Protection Agency. As a leading waste management company in Atlanta , at Southern Waste we are pleased to provide our residential and commercial clients with a variety of highly rated recycling and dumpster rental services. Over the years, we have forged lasting partnerships with other companies who are leaders in the waste management and packaging fields. One of our major partnerships is with Wilheit Packaging, which is based out of Gainesville. For more than six decades, Wilheit Packaging has lead the packaging industry by making changes in its sustainability and environmentally friendly production methods and disposal procedures. For example. Wilheit has created biodegradable stretch films and 100% recycled packing containers that are used from paper and cardboard materials. The sustainable packaging practices of Wilheit Packaging pair perfectly with Southern Waste’s cardboard and plastic recycling near Atlanta. With our partnerships, we are able to help our mission of sustainability evolve and grow. With the boom of technology and electronics, many of us find ourselves with old electronics and devices that are no longer useful. Since electronics contain a variety of chemicals and other elements, E-waste recycling is an essential part of any waste management plan . 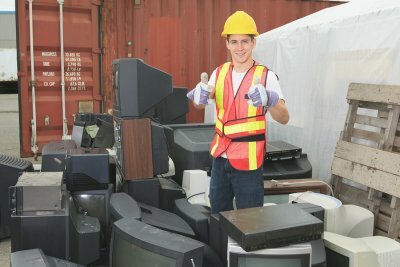 With E-waste recycling, a recycling center near Atlanta can help you safely get rid of your unwanted electronics. From computers to cell phones and more, a highly rated metal recycling expert will be able to help you recycle all of your electronic waste. To learn more about the process and benefits of E-waste recycling, check out this video from U.S. Environmental Protection Agency.